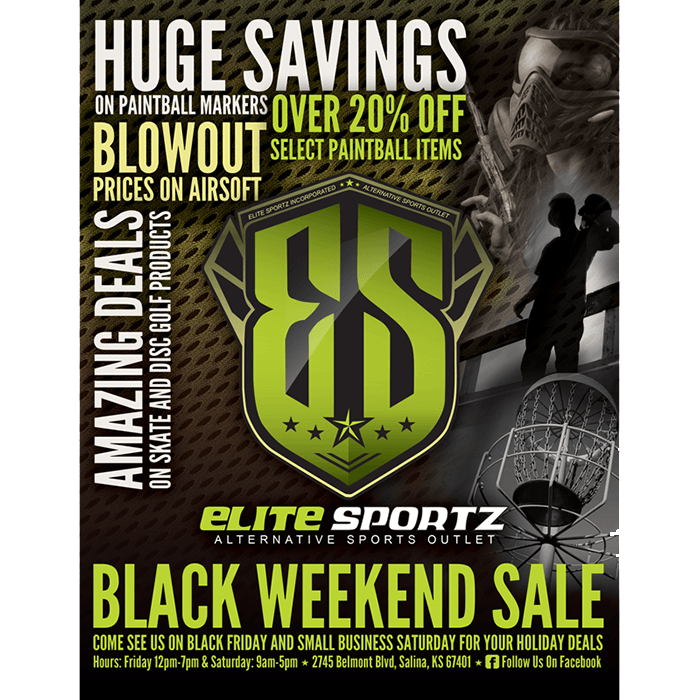 I created this ad for a local extreme sports shop in the Salina, KS area called Elite Sportz. They were having a huge Black Friday sale and wanted graphics for advertising. To help minimize the cost of the project we ran with the use of one graphic scaled to different sizes for web and print to be able to be used for social media and flyers to be handed out in the store and at their local paintball field. Their sales for the event were outstanding and overshot the projections for the sales event.